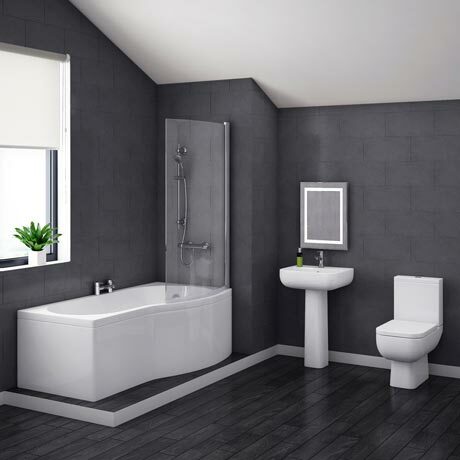 The stylish modern Pro 600 bathroom suite is ideal for smaller bathrooms and en-suites, features a 1700mm long B-shaped curved shower bath, a 600mm short projection close coupled toilet with soft closing seat and a quality 1 tap hole basin with full pedestal. This practical shower bath provides plenty of space for showering and bathing. supplied with a 6mm square bath screen to create an enclosure and a acrylic bath front panel.